The perfect treat for a hot summer night is a blend of warm gooey fudge and frosted velvety ice cream known as the Hot Fudge Sunday. On this day dedicated to Sundae-ing, let’s explore what makes a Sundae and how the Sundae came to be. 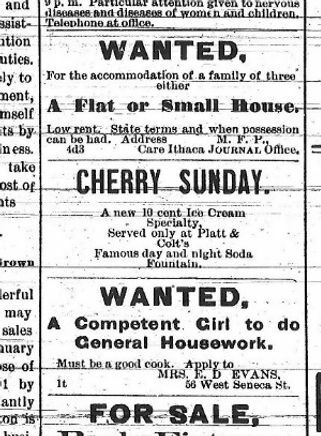 Because Illinois outlawed the sale of soda pop on Sundays, the ice cream sundae became a popular treat to take its place. 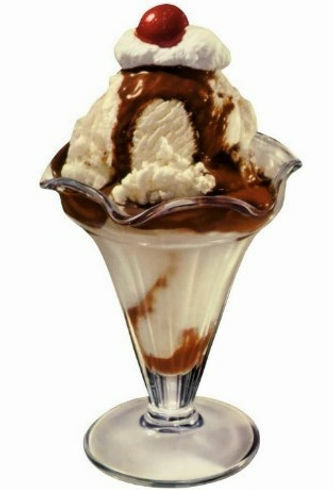 In the beginning of the 1900’s the ice cream sundae became the weekend soda fountain treat and was popularized in many varieties by The Ice Cream Trade Journal for 1909 according to cited sources on wikipedia. The hot fudge sundae is a variation of the classic sundae that includes a variety of toppings especially hot fudge and can be served with any flavor of ice cream. This is the perfect economical treat for the whole family and can provide a night of bonding while decorating your own ice cream sundae any way you want it. 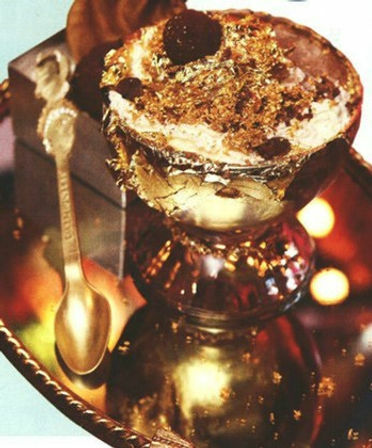 However, the Guiness Book of World Records has also confirmed that the Frrrozen Haute Chocolate Ice Cream Sundae created by Serendipity 3 in New York is the most expensive dessert on the market costing patrons $25,000 for a single bowl. Guiness confirms “The dessert uses a fine blend of 28 cocoas, including 14 of the world’s most expensive” and was made in partnership with luxury jeweler Euphoria New York This outrageously expensive sundae is decorated with 5 grams of edible 23-karat gold and served in a goblet lined with edible gold and includes an 18-karat gold bracelet with 1 carat of white diamonds and a gold spoon decorated with white and chocolate diamonds that can be taken home. Whether you have an eye for flair or enjoy the comforts of stay-at-home family time, the sundae is a splendid addition to any summertime shindig!Thanks for reading! Please share with friends!